For those just joining the party here, this is a continuation of a series of photo posts that flesh out our last 2-1/2 years. 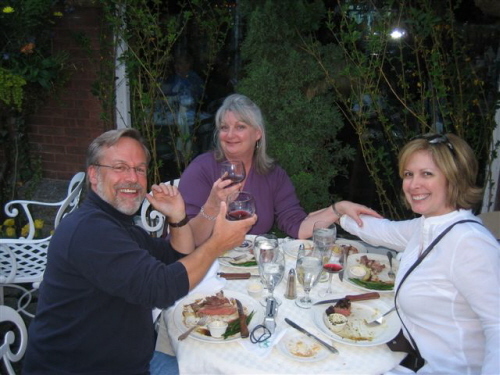 We tried mightily to keep the blog up to date, but fell exceptionally short in 2007. Here are some more highlights. 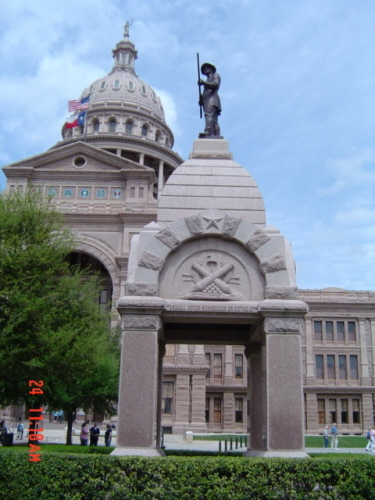 The Alamo Memorial at the Texas State Capitol in Austin. I have a relative, on my mother’s side, who died at the Alamo and whose name (George Tumlinson) is inscribed here. We loved Austin, with the beautiful Colorado River flowing through downtown, creating a great walking trail. Also, being a college town, it has great night life and fabulous music venues. 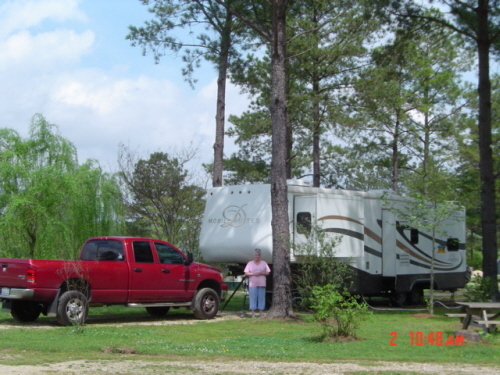 I’m including this photo because the RV park where we stayed was so unique. It is run by a farmer and his wife who, along with a whole bunch of dogs, have a cattle ranch just outside of town. Auburn, Alabama is one of the prettiest little college towns you’ve ever seen, and the hospitality that was afforded us by these wonderful people made our hearts sing. They don’t care if you leash your dog or not, and enourage you to feed their fish in a huge pond they have. It was quite an experience, and one we have yet to find anywhere else. Their rates were extremely reasonable, too. 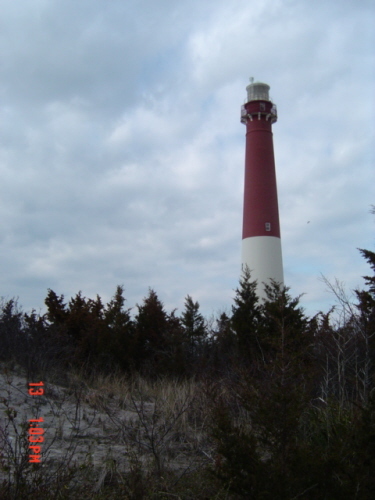 A lighthouse on the Jersey Shore. We are enamored of the east coast beaches. They are so different from the west coast beaches where we grew up. Cape May, New Jersey, was particularly beautiful, with a plethora of Victorian buildings that Bill and I found delightful. Then, up the coast we found this. 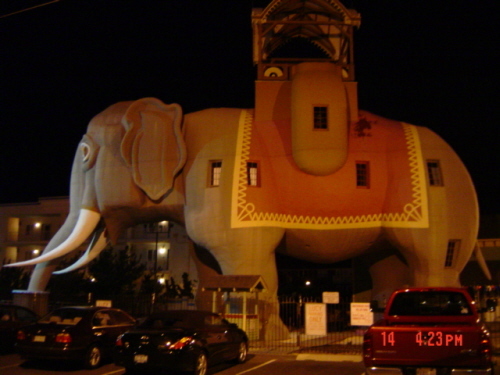 Lucy the Elephant in Atlantic City, New Jersey. It was dark by the time we drove up there, but Lucy was a sight to behold, lit up as she was. She apparently has been many things in her lifetime, including various businesses and a residence. 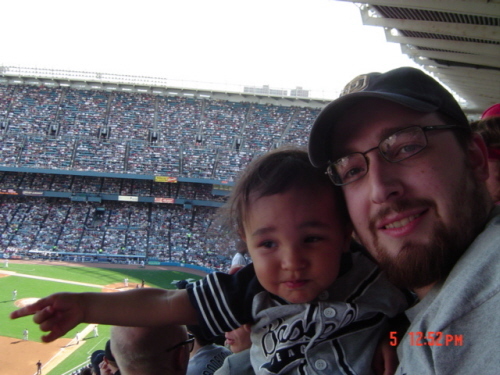 For Aaron’s 27th birthday, we took in a game at Yankee Stadium. Good thing, too, as it was the second-to-last season for the venerable old “House That Ruth Built”. I am so glad that I was able to be there once in my life. It just gave me chills to walk out and view the playing field. My father was a huge baseball fan, and having been born in 1915, he was also a huge Babe Ruth fan. My mother once told me that one of the only times she saw my father cry was when Babe Ruth died. Dinner at Tavern on the Green in Central Park. We met up with our friends from Miami, Trevor and Lula, and had a fantastic meal. Afterwards, we walked off dinner in Central Park. Bill and I would, if we ever become millionaires, buy a pied-a-terre in New York City in a heartbeat. As much as we love small, quiet towns, there is just something about New York and it’s energy, that we find irresistible. 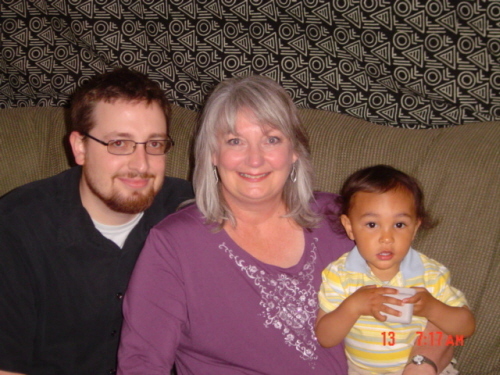 Mother’s Day, 2007. I am including this photo for a couple of reasons. First, it was my first Mother’s Day in years that I was able to spend with one of my kids. They both went to college away from home, and then permanently moved away from home after graduation. I was thrilled to be able to spend the day with Aaron. He took me to Serendipity 3 for lunch, then we walked around mid-town and Central Park. Unfortunately, Serendipity has since closed down, but you can see it in a movie of the same name starring John Cusack and Kate Beckinsale. Secondly, this picture and the previous one are put here to officially record how big and unhealthy I had become over the years. Bill had also noticed his own weight-related health problems, so shortly after we left New York, we both embarked on a weight loss plan! More on that in another post. Mystic, Connecticut, another absolutely gorgeous little town. 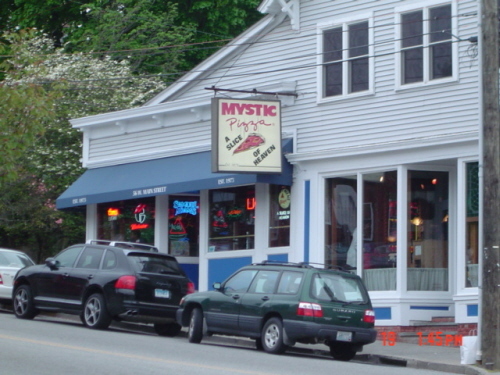 Of course, being big movie fans, we had to take this picture because of the movie, Mystic Pizza, starring Julia Roberts. Each time we head out cross-country, we take a different route. This time heading west, we stopped in Hershey, Pennsylvania. 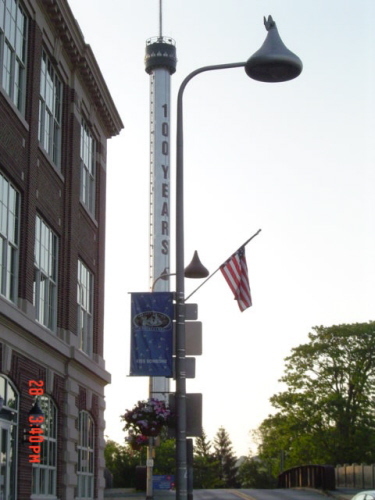 For years, we had heard that practically the whole town was a theme park, and, as you can see from the picture above, to some extent that is true. Where else can you see the street lights in the shape of Hershey Kisses? OK – that’s it for today. This has brought back so many good memories for me. We welcome your comments!